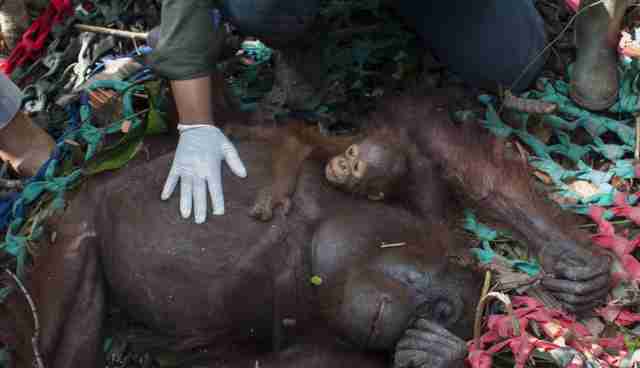 A baby and her mother were discovered clinging to one another in the burning jungles of Borneo. 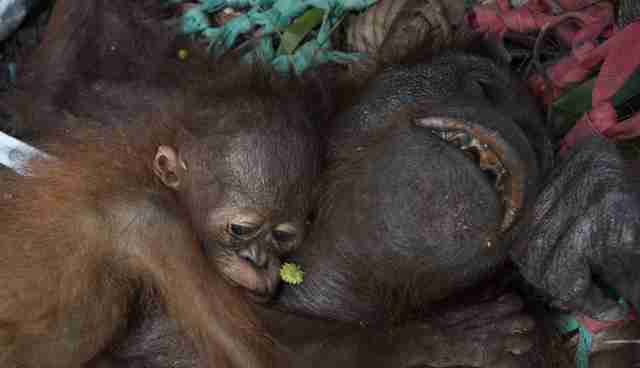 Novia and her tiny baby Noval were recently pulled from the devastated forest by International Animal Rescue (IAR). Like so many other orangutans, their forest home was destroyed by fires, and they were left stranded with nothing to eat and nowhere to sleep. They would have died without help. The rescue team assembled by IAR tracks down, captures and translocates orangutans who stand no chance of survival without intervention. So far, the team has rescued more than 20 orangutans from burning forests, "and we are still rescuing more," Tantyo Bangun, chairman of IAR Indonesia, said in a press release. "What is worse is that we don't know how many orangutans might have perished before we were able to rescue them." This is by far the largest number of rescues IAR has had to conduct in the area since IAR opened its orangutan center in 2009, according to Bangun, who added that "it is a deeply worrying indication of the plight of orangutans in Indonesia." "There are no words to express how we feel about this," Karmele Llano Sanchez, program director of IAR Indonesia, added. "All our efforts to protect orangutans and their habitat are in vain when fires destroy everything in an instant." Nearly 5 million acres of land have burnt in the past few months alone, according to Indonesia's National Space and Aviation Agency (LAPAN). These ravaging fires are just part of ongoing environmental crises that have pushed animals out of their natural habitats. IAR is linking these runaway fires to global warming as the Paris climate talks unfold. "The saddest image you can think of is a magnificent orangutan that should be traveling in the top of the canopy but instead has to drag itself on the ground, struggling even to find a standing tree suitable to make a nest," Gail Campbell-Smith, program manager of IAR Indonesia, said. "An extra concern is that, as habitat is wiped out, instances of human-orangutan conflict increase and these orangutans are in danger of being killed by farmers as they enter farms looking for food." Thankfully, Novia and Noval were a couple of the lucky ones. "Our team got to Mama Novia and her baby in time to save her life," IAR wrote on Facebook. 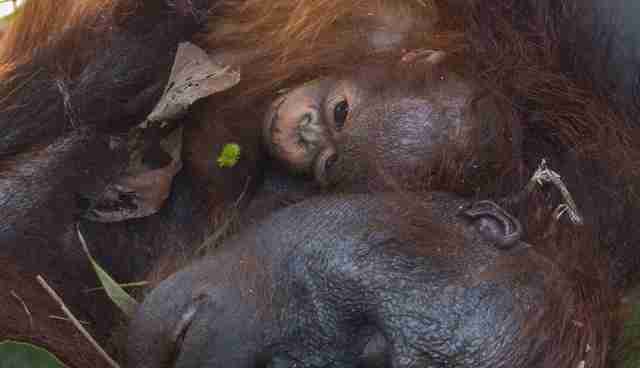 "They have both been moved and released into a safe area of protected forest." Learn how you can help IAR's efforts here.